Someone get the fire hose ready! 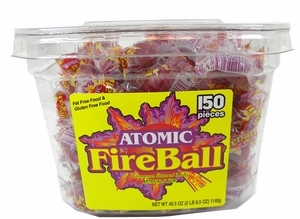 You’re going to need it when to snack on Atomic Fireballs! This candy packs a huge fiery flavor into its small hard candy size. 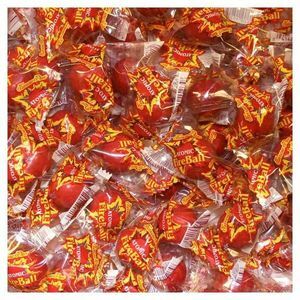 Blair Candy offers Atomic Fireball candy in a variety of package sizes, so you can be sure you will always have just enough for any occasion. If you plan on keeping them on your desk at work or on a coffee table, the 150-count bucket works great. 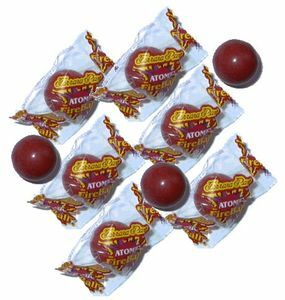 If you’ll be handing them out or using them as prizes, you can buy bulk Atomic Fireballs right here, too.